Horncastle and District Choral Society | Uniting a community through song. We aim to perform at least two choral concerts per year. Uniting a community through song. A warm welcome to Horncastle & District Choral Society website. After the success of our Christmas 2018 performance, our next concert will be on Saturday, May 18th, 2019 at St Mary’s Church, Horncastle, when the choir will be singing Anthems Through the Ages, from Tomás Luis de Victoria to John Rutter, and selections from the operas of Gilbert and Sullivan. We hope to see you there. 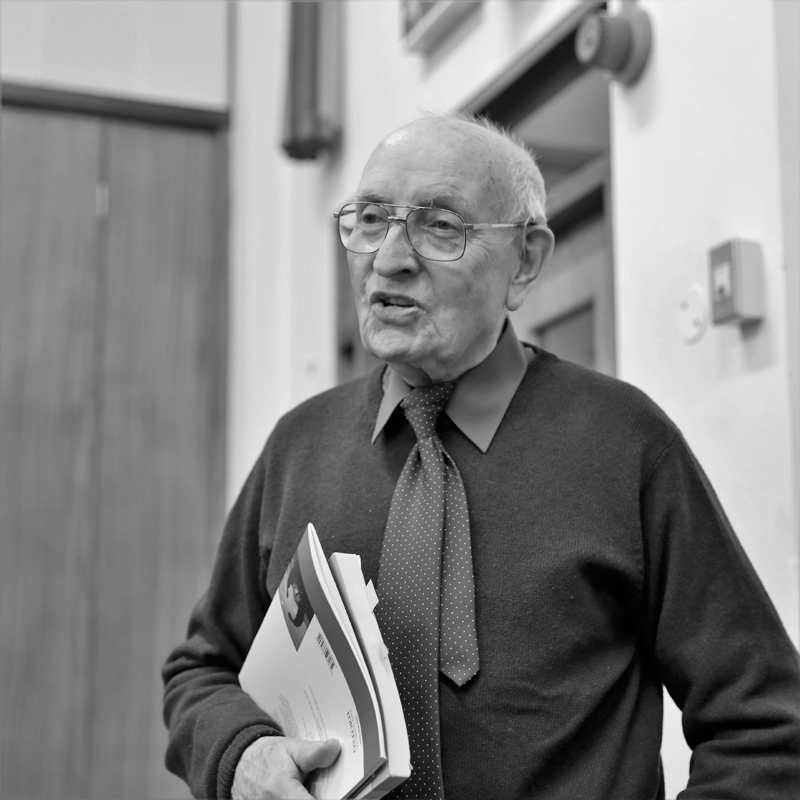 After nearly 20 years’ loyal service as HCS Chairman, Gerard Berry announced his retirement from the post at the choir’s recent AGM. He was presented with suitable ‘liquid refreshment’ by Committee member Sylvia Ravenhall in recognition of his time at the helm, her good wishes and sincere thanks for his excellent Chairmanship over the years being heartily reciprocated by members of the Committee and choir members. last week's rehearsal was for our soloists. The choir is having fun rehearsing a few Gilbert and Sullivan items, which will form the lighter half of our May concert. Mozart's Ave Verum Corpus and John Rutter's For the Beauty of the Earth - a lovely start to this term's rehearsals of anthems old and new. Thank you to all who came out in the rain for our annual Christmas concert. We're all working hard and looking forward to our upcoming concert on December 8th at St. Mary's. 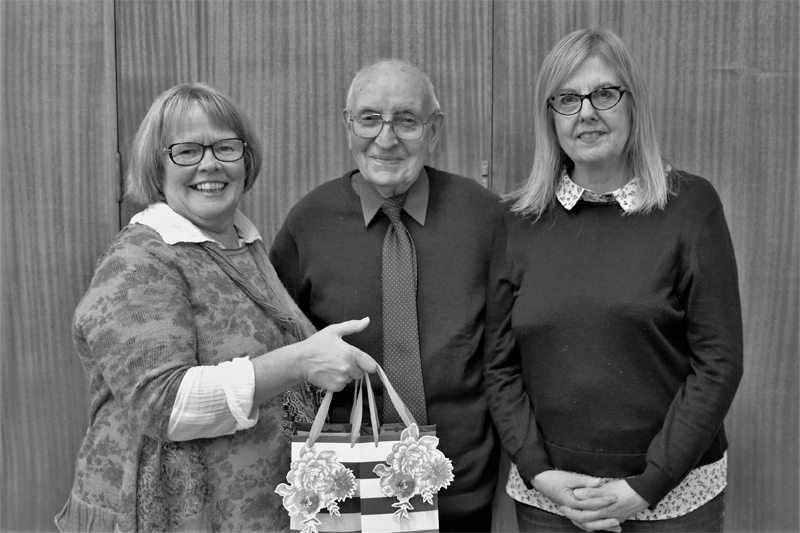 At the choir's recent AGM, our retiring chairman was presented with a gift, in recognition of almost twenty years' dedication and loyal service. We are very pleased that he continues to sing with us! The new season is underway, and the choir is enjoying rehearsals for our Christmas concert on December 8th. The concert will include music from Handel, Karl Jenkins and Bob Chilcott.